Medieval Justice and Law in England was first dominated by the rights given to feudal lords under the feudal system and then by Magna Carta and the formation of a parliament. The right of jurisdiction seems to have been so inherent to the right of property, that a landed proprietor could always put an end to feuds and personal quarrels, could temporarily bring any lawsuit to a close, and, by issuing his ban, stop the course of the law in his own immediate neighbourhood, at least, within a given circumference of his residence. Whoever infringed the ban of the lord, was liable to be brought before his court, and to have to pay a fine. Early Medieval Justice and Law was dominated by the principles of the Feudal system. Feudalism was not only a system of local government; it was also a system	of local justice. The right of jurisdiction gave judicial power to the nobles and lords in cases arising in their domains and had no appeal but to the King himself. Cases which arose on a manor were tried before the lord. Sentences were usually in the form of a payment of a fine, These fines produced a considerable income to the lord of the manor who regarded their judicial rights as a valuable property, which they were loath to surrender to the state. The Magna Carta is a document that King John of England (1166 - 1216) was forced to sign. King John was forced into signing the charter because it greatly reduced the power he held as the King of England and allowed for the formation of a powerful parliament. The Magna Carta became the basis for English citizen's rights. The purpose of the Magna Carta was to curb the King and make him govern by the old English laws that had prevailed before the Normans came. The Magna Carta was a collection of 37 English laws - some copied, some recollected, some old law and some new law. The Magna Carta is considered to be the beginning of constitutional government in England. In 1258 seven barons led by Simon de Montfort forced King Henry II to agree to the Provisions of Oxford which abolished the absolutist Anglo-Norman monarchy and gave power to a council of fifteen barons to govern England and a parliament. Representatives of the towns and boroughs were invited to attend the Parliament thereby instituting the House of Commons. The House of Commons is regarded as the bulwark of civil and political liberty. The decline of the Feudal system led to courts being established in large towns. The members of the Guilds became very important members of the Medieval town community of the Middle Ages. The introduction of the guilds in a town or city lead to its own hierarchy and involvement in civic duties. Magisterial courts were introduced into the towns. 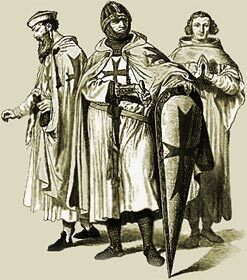 The Medieval Times website provides interesting facts, history and information about these great people and important historical events which scatter the Medieval History books including the Medieval Justice and Law. The Medieval Times Sitemap provides full details of all of the information and facts about the fascinating subject of the lives of the people who lived during the historical period of the Middle Ages. The content of this article on Medieval life and times provides free educational details, facts and information for reference and research for schools, colleges and homework for history courses and history coursework.